Today, five percent of American customers prefer doing their grocery shopping online via the $7 billion online grocery shopping industry, and those numbers are only rising -- the industry is expected to reach $18 billion by 2020. 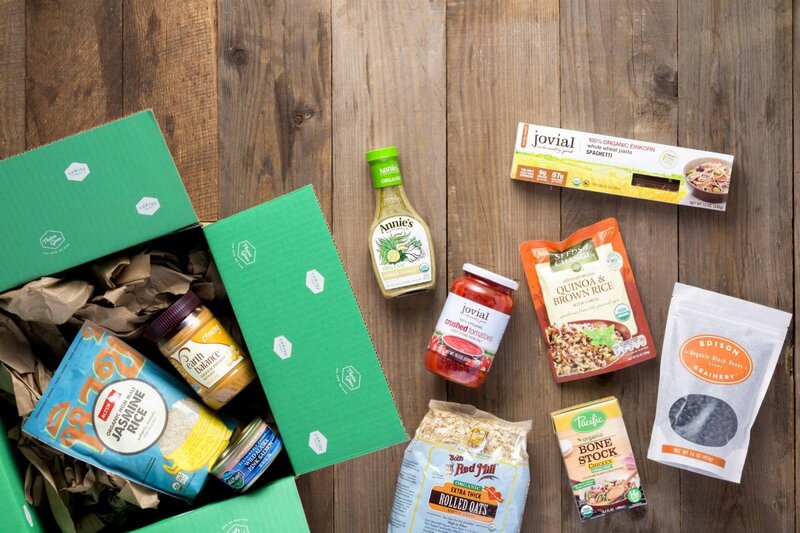 "It&apos;s definitely a growing business," says Peg Merzbacher, VP of Regional Marketing for Peapod, the largest online grocery retailer in the country. 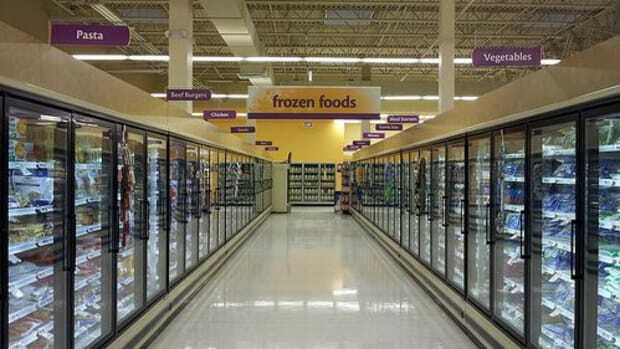 "I don&apos;t think that kind of growth is something that traditional supermarket chains see." To stay afloat, online grocery companies need to bring something unique to the game. To help you make sense of the different options out there, here are five that you need to know about. AmazonFresh offers users a combination of fresh ingredients and select items from the main Amazon.com storefront. 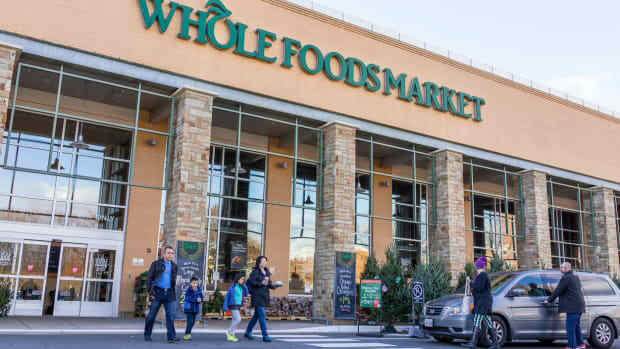 Unlike other online grocery services, which partner with local supermarkets, AmazonFresh has invested in its own refrigerated warehouses and inventory in addition to working with local partners, to provide a wide variety of items to shoppers. 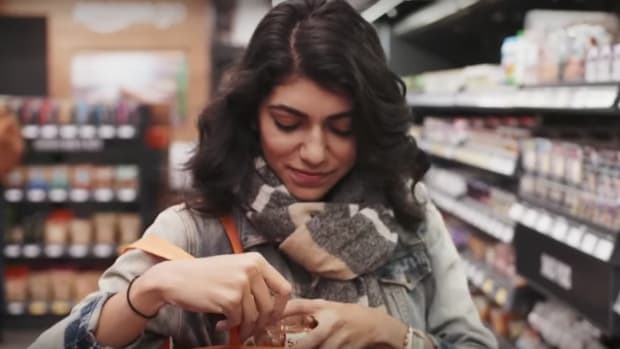 AmazonFresh recently launched brick and mortar convenience stores available only to members, who can shop and pay using phones or touch screen devices. Amazon Fresh does have its downsides: it&apos;s only available to Amazon Prime members, though seeing as half of all American households have a membership, that might not be too big of a problem. AmazonFresh is available in Seattle, New York, Boston, Baltimore, Philadelphia, Stamford, Trenton, Northern Virginia, Washington D.C., Maryland, Chicago, Atlanta, Dallas, and seven regions in California – Los Angeles, Riverside, Sacramento, San Diego, San Francisco, San Jose, and Stockton. AmazonFresh offers same day or next day delivery, depending on time of order and availability of trucks (before 10AM for same-day delivery, before 10PM for 6AM delivery following day). The user chooses either a one-hour time slot, and the order is received in person, or a three-hour time slot, and the order is left at the doorstep in temperature controlled bags. AmazonFresh is a membership-based service that is available to Amazon Prime members for an additional $14.99/month. Orders under $40 also incur a $9.99 delivery fee. 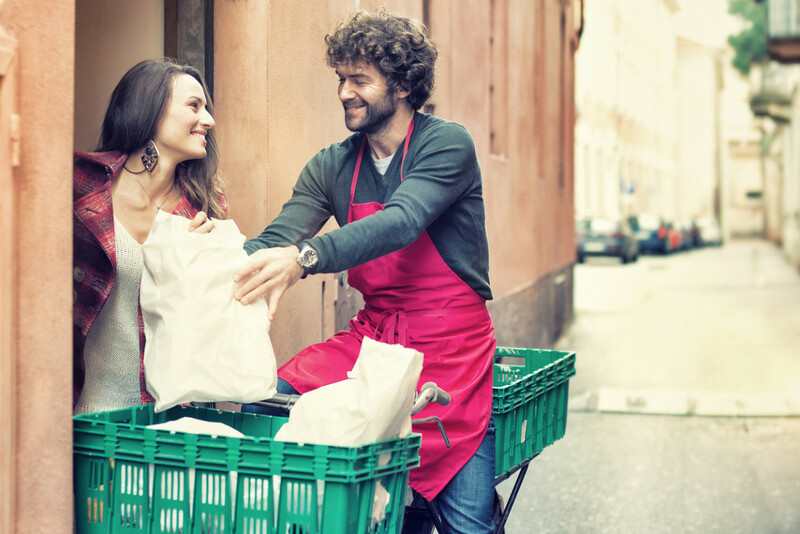 Think of Instacart as an Uber for your groceries. Instacart doesn’t actually sell groceries; rather, the service employs personal shoppers who do your grocery shopping from a local grocery store for you once you&apos;ve placed an order via the Instacart website. Your personal shopper then does your shopping -- taking into account any substitutions you&apos;ve indicated, and even calling you, if you like, to confirm any replacement items -- before delivering your groceries to your home. Instacart has partnerships with several large grocery chains including Whole Foods, Costco (no membership required! ), Kroger, The Food Emporium, Petco, Publix, Smart & Final, Giant Food, and several other local supermarkets all over the country. Instacart often groups orders for private shoppers – up to four at a time – essentially allowing your groceries to carpool with your neighbors. 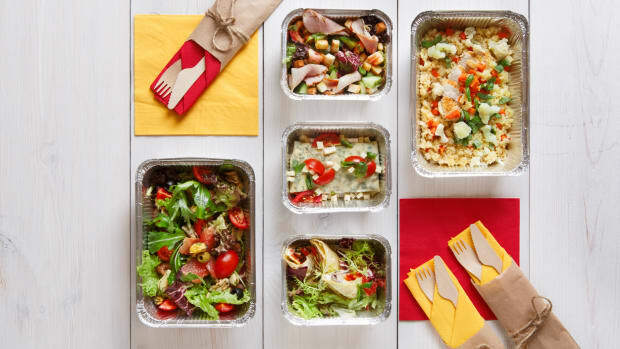 Instacart is available in certain parts of California, Colorado, Connecticut, Washington D.C., Florida, Georgia, Illinois, Indiana, Maryland, Massachusetts, Michigan, Minnesota, New Jersey, New York, North Carolina, Oregon, Pennsylvania, Texas, Virginia, and Washington. 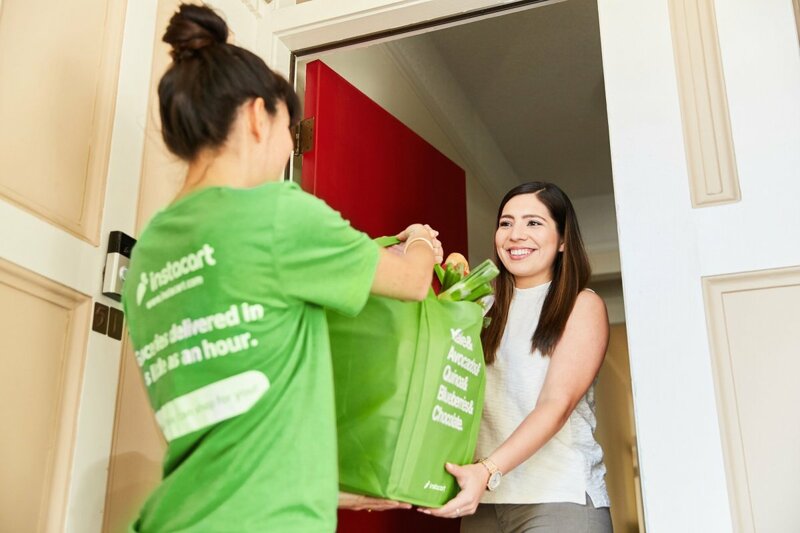 Instacart offers same-day delivery, often within an hour or two of your online order being placed. Delivery starts at $5.99, depending on final order price and the time between order and delivery. The Instacart Express membership club offers free one-hour, two-hour, and scheduled grocery deliveries over $35 delivery for $149.99 a year. Additional fees may apply for one-hour deliveries or deliveries under $35. 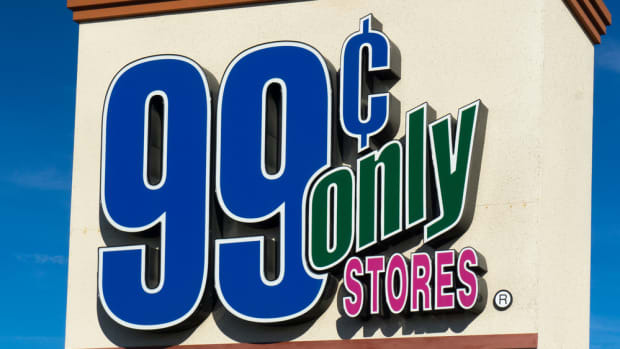 Item prices are generally aligned with those of major retailers. Peapod is one of the oldest and most popular online grocery services on the marketplace today. Owned by Dutch supermarket giant Ahold Delhaize, Peapod offers most everything you could want to order online, with one exception: unless you live in Illinois, no alcohol. 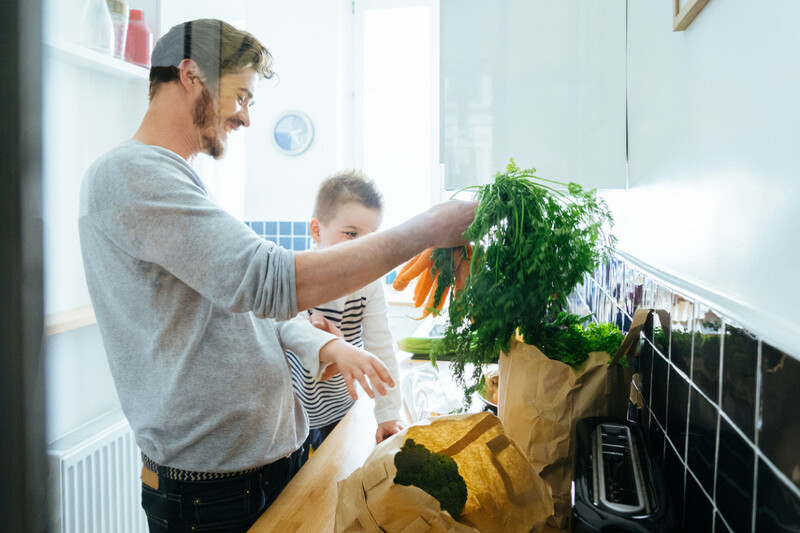 Because Peapod partners with local grocery stores, in addition to delivery options, customers can also arrange for grocery pickup at a local store. Peapod is constantly adding new items, particularly with regards to its organic and free-from lines. Last year, Peapod even launched some local offerings: in summer, Peapod offers local produce boxes via partnerships with farmer coops, and in the early autumn, curated cheese and charcuterie boxes. “Typically you’d have to subscribe to a CSA box to do that, but we allow you to buy a box whenever you want to,” explains Merzbacher. Peapod is available in Chicagoland, Milwaukee, southeast Wisconsin, Indianapolis, Connecticut, Massachusetts, Rhode Island, New York, New Jersey, Southern New Hampshire, Maryland, Virginia, Washington DC, Philadelphia, Southeastern Pennsylvania, and Central Pennsylvania. 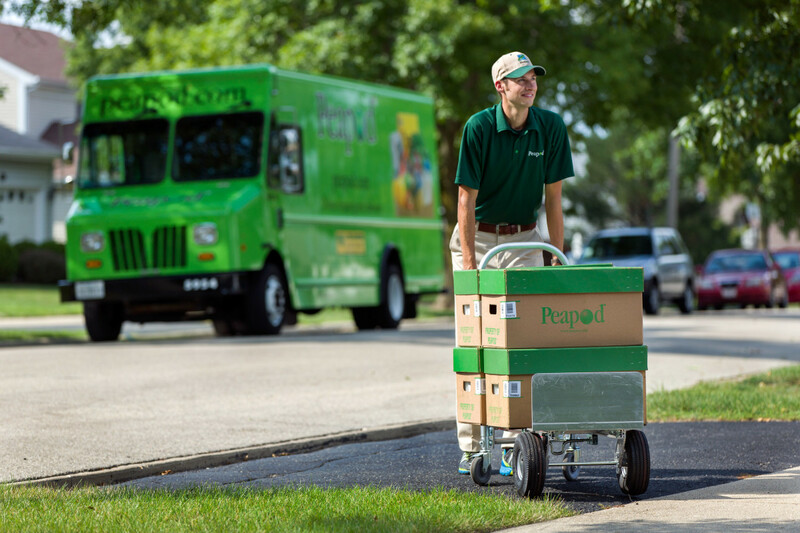 Peapod delivery turnaround is around 24 hours. $60 minimum for delivery required; $9.95 delivery fee for orders under $100; $6.95 for orders over $100. Some delivery times can slash up to $4 from your order. Peapod also offers a PodPass subscription, available in 3, 6, and 12 month options. Customers pay one price for unlimited deliveries of at least $100 within a set timeframe. Peapod prices items based on the average for the area. 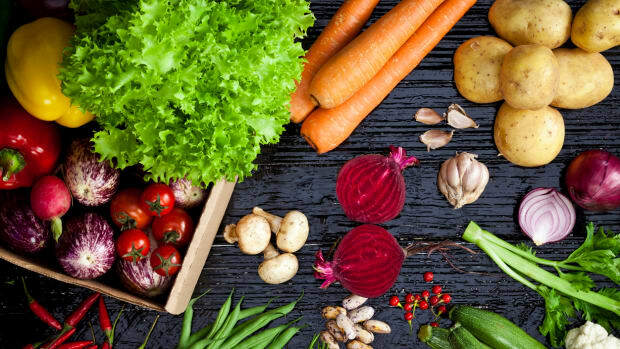 Barn2Door is not a traditional online grocer – think of it more as a sort of online farmers market. “We&apos;re sort of the AirBnb for sustainable organic food,” says founder and CEO Janelle Maiocco. Individual farmers set up their storefronts online via the Barn2Door website, and users can purchase fresh foods directly from the producer. Purchases are either shipped, delivered to your home, or picked up at a convenient location; this is decided when the order is placed, and it’s easy to search for producers that, for example, only do delivery in your area. Barn2Door is all about supporting farmers and producers; in fact, all online stores are run by farmers, fishers, ranchers, and foragers. All items on Barn2Door must meet specific quality standards: food must be clean, sustainable, and transparently produced, and many products are also certified organic. Barn2Door is available nationwide; offerings may vary depending on your area. Barn2Door deliveries are organized by the individual farmer. 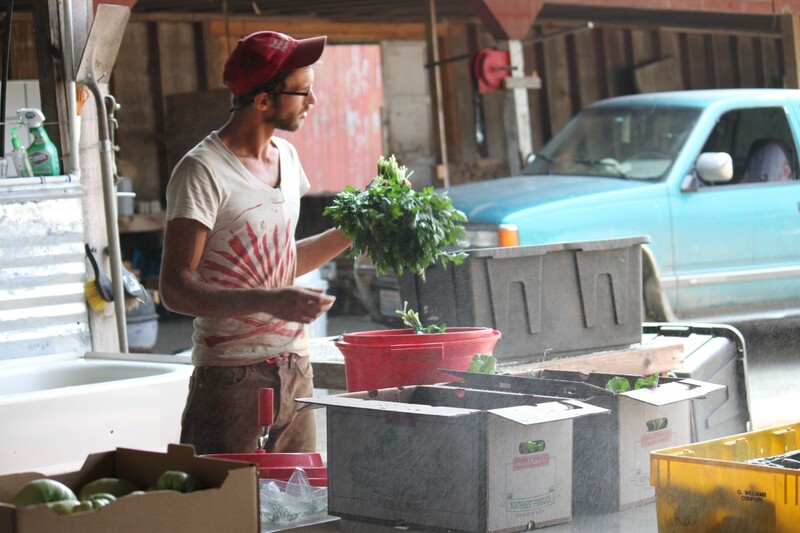 Farmers pay a low monthly fee of $10 to open their storefront. The farmers choose their own prices, which are usually competitive, because Barn2Door does not take a percentage of the product price. Thrive Market is a membership-based marketplace selling organic products at the same prices as conventional. "We sell a Kind bar with five grams of sugar for less than a Snickers bar, and we sell 70 loads of nontoxic laundry detergent for less than CVS is selling 70 loads of a traditional laundry detergent with hormone and endocrine disruptors," explains co-founder Gunnar Lovelace. "So that&apos;s the basic way that we think about our success." The company works hard to ensure that everyone -- no matter their budget -- has access to organic food. In fact, for every paid membership, the company gives one away to a low-income family, a veteran, a teacher, or a student. Thrive Market is focused on products traditionally found in the center of the store, even developing its own lines of sustainable, free-trade products such as coconut oil. 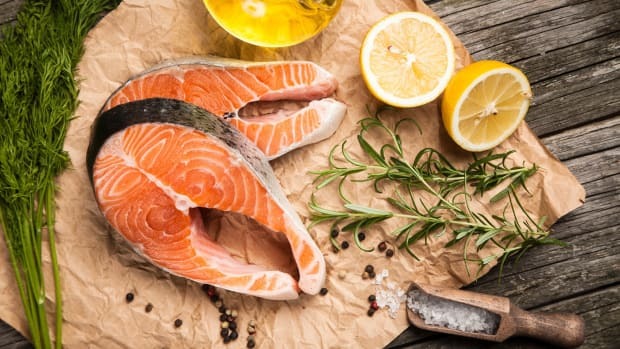 While it continues to expand in this area, the company has no plans to expand to fresh food, largely due to the difficulty of ethically and affordably shipping produce. Thrive Market ships anywhere in the continental U.S. Thrive Market orders ship within 24 to 72 hours from when they are placed. This article contains affiliate links to like minded brands. Affiliates help keep Organic Authority free! How Gross is Your Grocery Store? 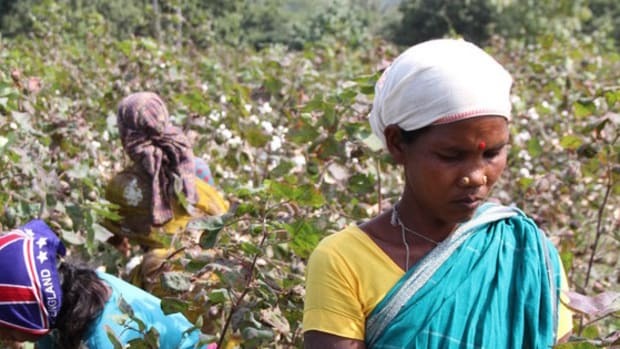 How Fair (Trade) is Your Shopping Cart?